Emerson also said “beware when the great God lets loose a thinker on the planet.” Yes thinkers are a threat to the status quo, and innovative thoughts are a threat to our personal habituated life as well. But that is exactly what is required of us if we want to keep the doors of perception open to the next generation and the next. "Losing My Religion For Equality"
You must read this eloquent message by President Jimmy Carter. This is an honorable man of great integrity. 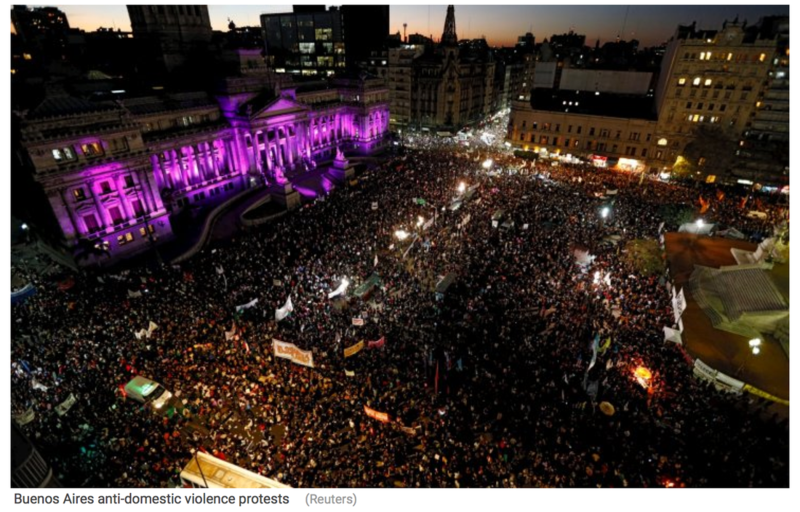 Femicide According to local women's rights group, Casa del Encuentro, Argentina reported 277 femicides – the killing of a woman by a man because of her gender – in 2014. Hi, Hillary. You know me. I mean, we're not friends, exactly, but we're acquaintances. You were wonderful to me back in 1994 when you invited me to the White House. It's a memory I will treasure always, and you gave it to me.